Karina's Kreations: Simple Happy Tails Card! 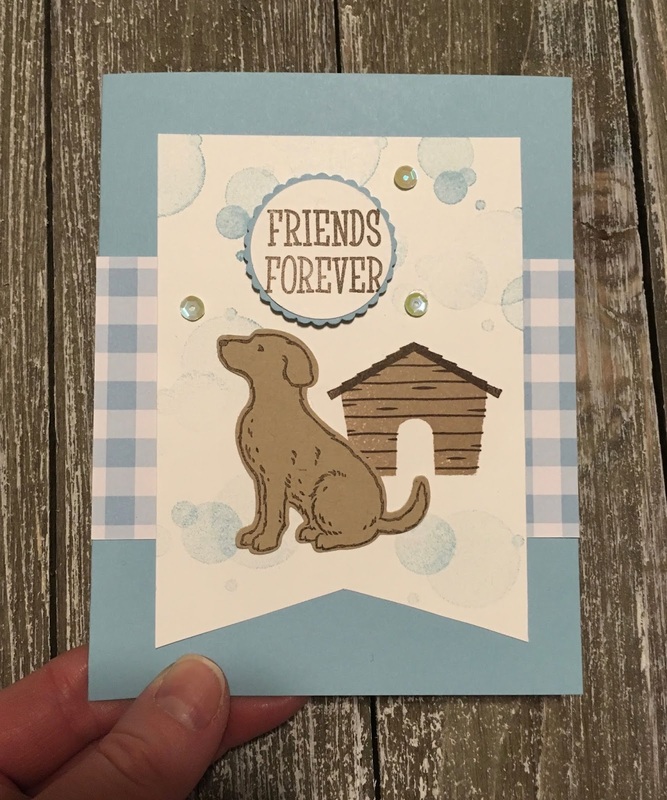 We made this simple Happy Tails card yesterday at my Epicure/stamp party. A big thank you to everyone who came. I also did a facebook live video for the card I made yesterday. Here's the video if you wanted to check it out. This is the supply list for my card today. Just click on a picture to go to my stampin' store. The March hostess code is 6KT2ZDGJ.